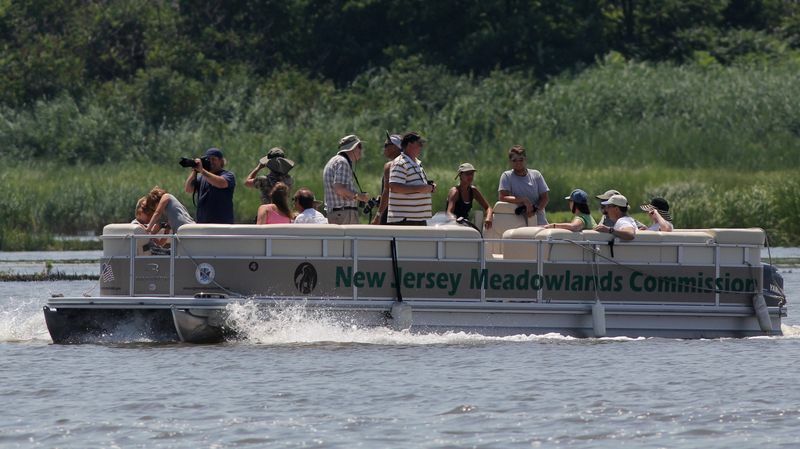 Don Torino, who is a leader the free twice monthly walks sponsored by the Meadowlands Commission and the Bergen County Audubon Society, has a new column on wildnewjersey.tv about the commission's pontoon boat rides. The mystery plant looks to be Wild Parsnip, an invasive species that can cause a skin rash in combination with direct sunlight. 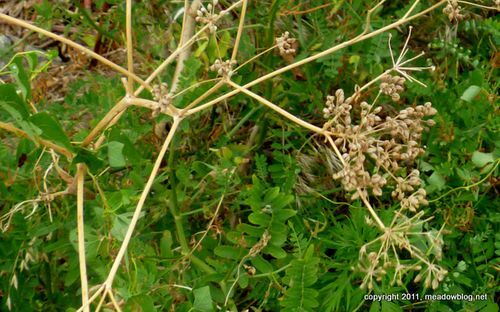 More on this plant and other poisonous plants here. Some stuff from the Kearny Marsh this past week. 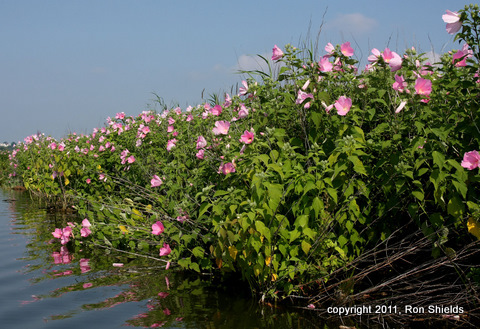 The hibiscus is in full bloom, resulting in some spectacular landscape images. 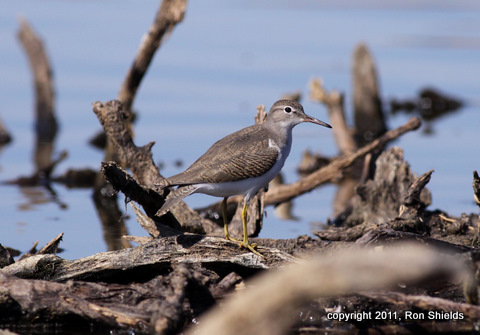 More and more shorebirds are arriving each day as the water level continues to drop. Some spots are now difficult to kayak as a result.